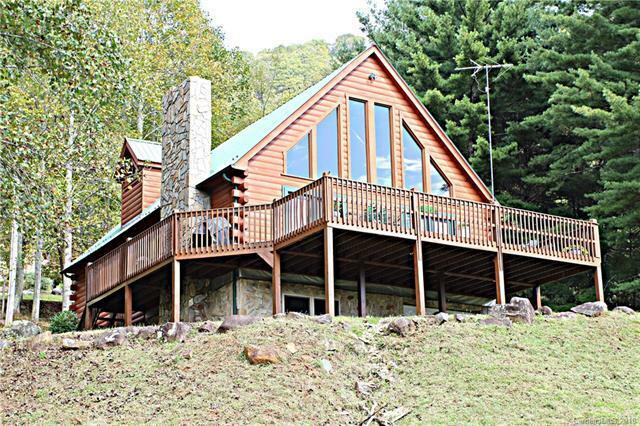 Looking for a log cabin with 10 acres sitting high on the mountain. This may be the one for you. 3-bedroom 2 bath log home with loft and stone fireplace. This log home has amazing views that could be totally breathe taking with a little tree trimming. Also, has a 1120 sqft partially finished basement that could nearly double living space. Home has wood throughout and is bright and open. Large windows allow for views from the living area and loft. A Log Home with Acreage, Privacy and Views, What a Find!!! !